The SAM INK range of compatible inks for HP Designjet 9000, HP8000 and Seiko 64 are Mild solvent inks which have excellent adhesion and scratch resistance. The HP Designjet 5000 and HP5500 inks in cartridge and Bulk ink format are colour matched to the originals so no colour change when changing print heads. The HP Z6100 is the worlds first plug & play colour matched cartridge. 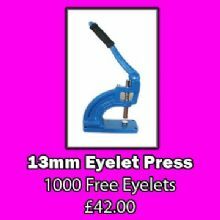 To complete the range we have added the HP1050/1055 cartridge and HP4000 cartridge, both are colour matched. Photo Paper 190gsm & 260gsm, Photo Satin, Photo Luster, Photo Gloss, Stop Light PET for Roll Up & Pop Up systems, Medium Wieght Banner (PP) Self Adhesive PP, Art Canvas, Bubble Free Vinyl,PVC Banner. 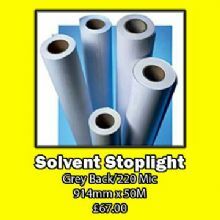 Compatible with Mild Solvent,Eco Solvent, Dye, Pigment and UV inks. Colour Mill's range of cold film and mounting film is available in Crystal,Matt and Gloss finish 50m & 100m rolls. Specially designed to give excellent protection and an enhanced look to your graphics. Hot encapslting film is also available. 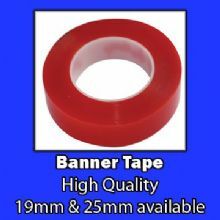 Rollup Banner Stands, POPup Stands, A-Boards, Cutting Knifes, Eyelet Press, Eyelets, Hemming Tape, Liquid Laminating.